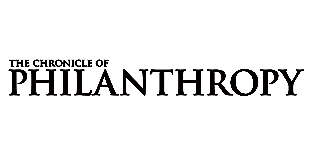 December 9, 2016 – The Chronicle of Philanthropy today featured a podcast with Carol Glazer, president of the National Organization on Disability, on their homepage. Glazer joined The Business of Giving radio host Denver Frederick to discuss the evolution of disability advocacy and how data and technology are undoing workplace discrimination. That’s a population of 30 million, only 20 percent of whom are employed, as Ms. Glazer notes in this edition of the Business of Giving. That figure has remained unchanged since World War II, despite legislative milestones like the Rehabilitation Act of 1973 and the Americans With Disabilities Act, enacted in 1990 and updated in 2008. Her organization has increasingly taken on a role as coach and guide to employers, offering data tools, webinars, white papers, and lessons from corporations like Lowe’s and Starbucks that have set the pace in integrating people with disabilities into the work force. In this conversation, Ms. Glazer details the National Organization on Disability’s efforts to remake workplace culture and overcome “the tyranny of low expectations,” promoting technology that levels the playing field for workers with disabilities and helping employers realize the benefits in productivity, persistence, and dedication that comes with hiring people used to navigating challenges on a daily basis. Listen to the full interview below and/or read a transcript provided by the Business of Giving at the Chronicle of Philanthropy.